2015. Commemoration of 1940-45, battle of the Ardennes. 8 May 2015. 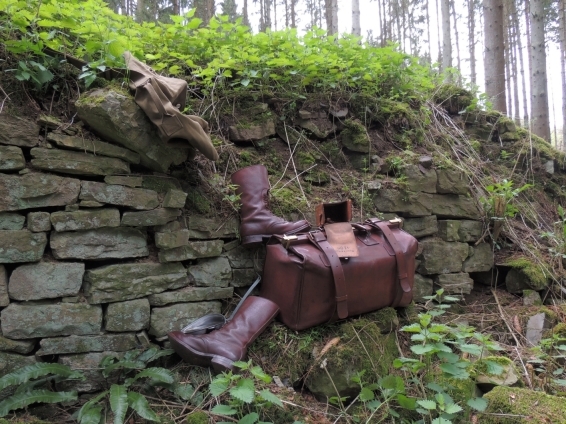 On the occasion of the 70th anniversary that marked the end of the World War II, a number of trunks, travel equipment, and related objects that are part of the Belmal museum-collection, were used as props in a simplified and non-violent re-enactment of a post-battle scene in a forest. The "1945" photo-reportage is part of the "Belmal Sessions", a photo-series started in January 2013. In the course of the 4th quarter of 2015 other Sessions will be released, and then to be integrated in a new communication mode by Belmal Malletier. A few other "1945" pictures: on Pinterest.